At just 33 years of age, Brandon Stanton has achieved what some photographers only dream of, capturing the attention of millions around the world through his iconic, eye catching, 21st century photos of humans of New York. The young man who was born in Georgia, America received the James Joyce Award from the UCD Literary & Historical Society, University College Dublin in 2014. “This award recognises Brandon’s remarkable dedication and achievement in producing an expansive photographic record of the inhabitants of New York City. 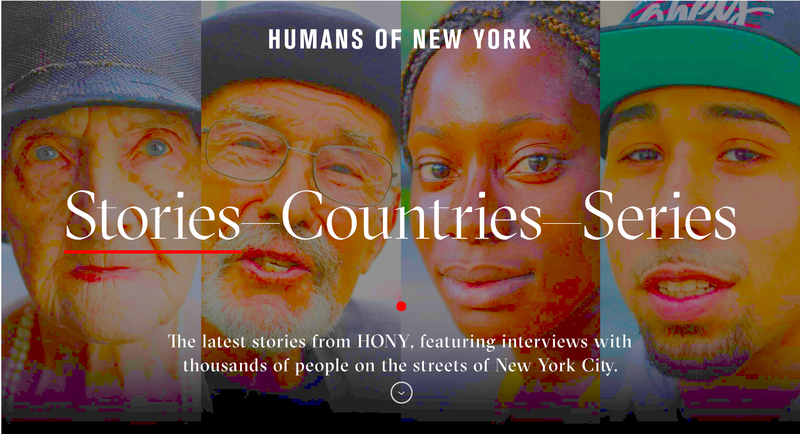 With over 6,000 portraits and narratives to date, and counting, Humans of New York lends its audience keen insights into this fascinating city and the way of life of its inhabitants,” Eoin MacLachlan, Auditor of the UCD Literary & Historical Society, University College Dublin. Before I sat down to finally look at how Stanton has captured the stories of thousands of New Yorkers, while touching millions of lives around the world during the process, I had noticed I knew this artists name, but it was not on a book. Being an active user of the popular social media site, Instagram, I had stumbled across the ‘humansofny’ Instagram page and truth be told, I have been following it ever since, frequently visiting their page to discover beautifully told stories using his photographs, which create interesting stories for their reader. As I read the Humans of New York Facebook posts and viewed his Instagram and blog posts, which all serve the same purpose, to tell the story of an individual through their own real life experience, I noticed a similar theme. He shares unique personal experiences which hold an immeasurable expanse of inspiration and meaning within life. This is the source of his success and it is why his collections of photographs have been so successful across the globe. The response on his social media pages reflect that the realism shown by displaying the world as it truly is, remembering to allow time get to take a moment to get to know the people around us is something people are in favour of. There is purpose in each post, in each photo and in each message, and the response speaks volumes for his success. With 4, 208 posts as of April and with a staggering 6.7 million loyal followers, it is evident young Stanton has a talent that goes much deeper than being a successful photographer or popular blogger. He is a story teller, and a great one at that. In 2013 The New York Times announced Humans of New York as its number 1 best seller in its monthly book review. 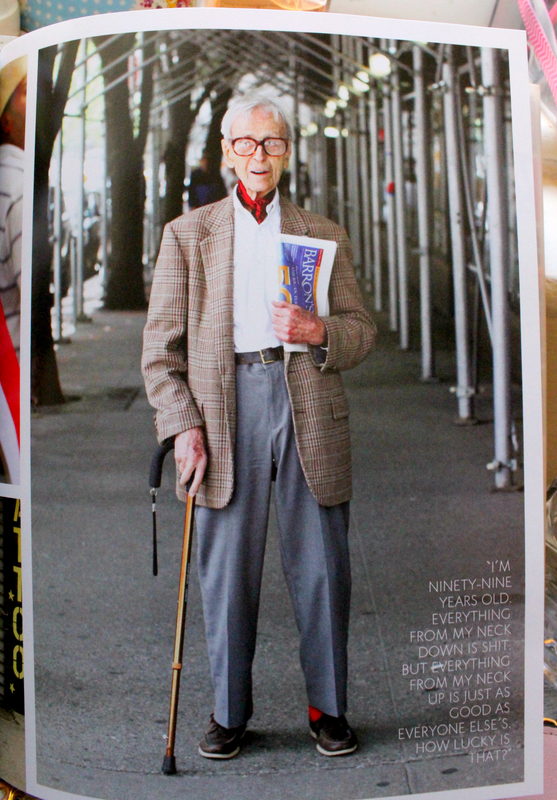 I had high expectations before even handling the hard back copy of his collection of 400 portraits in my hands, so I was excited to start reading Humans of New York, written and illustrated by Brandon Stanton. Humans of New York, which was inspired by his successful blog, began seven years ago, summer 2012. Fascinated by the city life around him, equipped with nothing but a vision and his camera, Brandon would set out, roaming the streets, taking photographs of anything that sparked an interest or seemed to have a story. “HONY aggressively promotes a wholly sentimentalised experience of New York City through a real-time disbursal of its faces, espousing an idea of inclusivity through a project of enforced uniformity”, Melissa Smyth. Whether I agree that his approach is aggressive is still not decided, but what I am certain of is that his approach has succeeded, as from the first page to the last I was enriched with colour, personality, happiness, empathy, culture and expression. Not only does he carefully display thought out visually pleasing photographs but he as a writer has also included snippets and quotes from the individuals who star in his photographs. This creates a personally understanding with the New Yorkers that feature. Brandon Stanton sees the various faces and personalities as he wonders through crowds of busy New Yorkers. He has the ability to be able to manoeuvre he way through the chaos to find beauty in individuals and their stories. 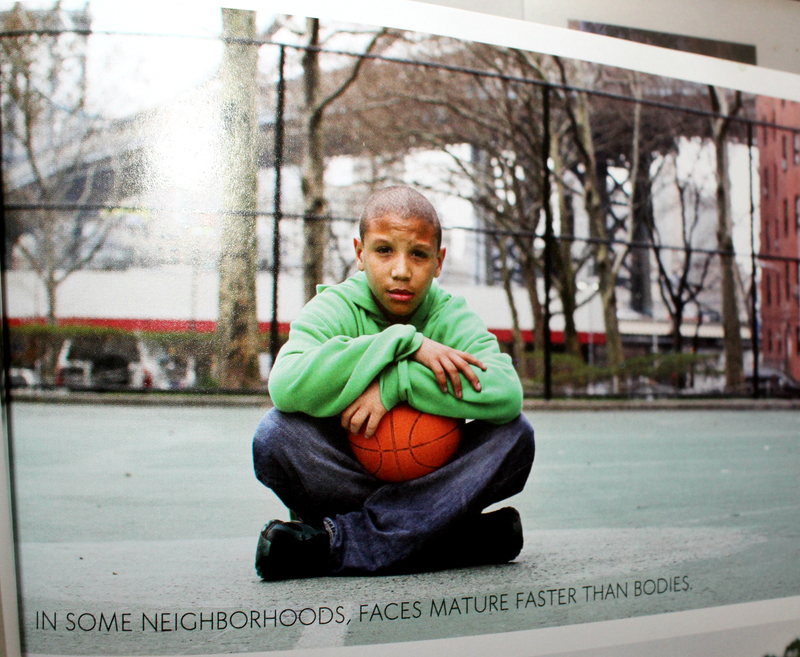 As I flicked through the pages of this book I paused on this page, which featured a young boy, cross legged with a basketball on his lap, sitting on concrete court floor. Stern looking and little emotion on his young dace, the quote which Brandon chose to attach really reflects his message throughout his collection. Any other New Yorker would pass this young boy, but why would anybody stop? 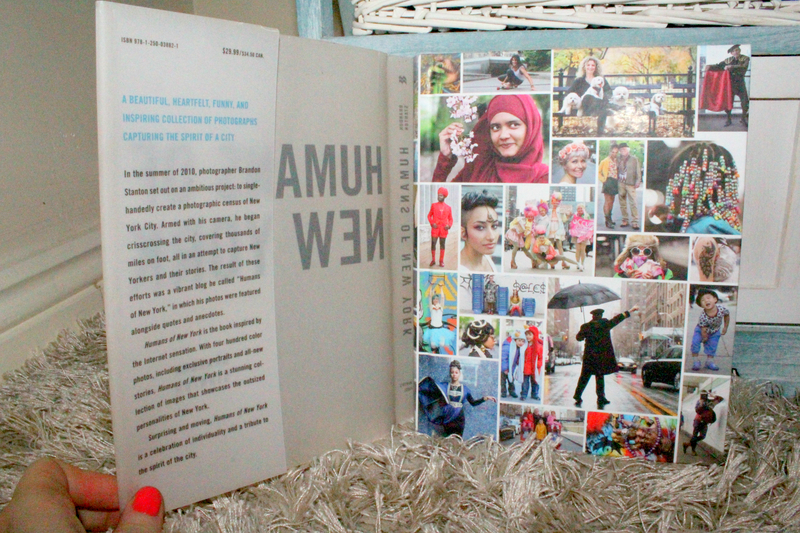 This is what I loved about this collection, and although his photographs are online, personally I love having a hard copy. Having a book from start to finish that you can physically pick up is much better than scrolling through web pages. The sincerity and enthusiasm for life around Brandon oozes through the pages of this book, I can picture him wondering around on foot for miles, with his camera in hand, looking far beyond the busy lights and fast lanes. Brandon spoke to NPR which addressed my main question as I flicked from page to page and that is how does one go about getting to know this many strangers? The world view of New York is one that I am sure not many will argue with, it is an extremely fast passed, hustle & bustle, no time for chit chat on the street. After giving this collection of photographs presented by Brandon Stanton I can happily say that I was not disappointed! From start to finish it was welcoming and inviting, making you want to look at more. In the inside cover he says… “A Beautiful, heartfelt, funny and inspiring collection of photographs capturing the spirit of the city”, Brandon Stanton. As somebody who has not travelled or explored the world as much as I would have liked to, although I am young this book is extremely encouraging and invites you to share his journey meeting people that are connected to places all over the world. He collects these experiences through his photos for the world to view, and that I respect and admire. It is a selfless book, which oozes personality and passion. Some might argue its faults, or debate that it ‘just’ a serious of photographs, but I see it is much more.